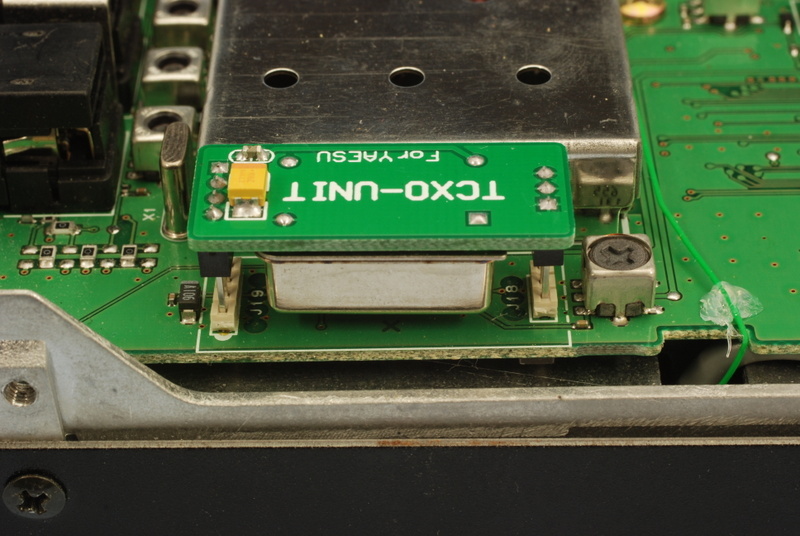 Recently I have been doing quite a bit of work with WSJT modes, and I stumbled across a source of cheap TCXO upgrades on eBay that are plug compatible for TCXO-9 modules for installation in the FT817, FT857 and FT897. To be honest I was quite happy with the stability of my FT817, and I wasn’t interested in improving my “marksmanship” by having WSPR spots logged with the smallest frequency offset worldwide. But for US$25 shipped to my door this was an easy “why-not” decision. Yaesu no doubt chose the non-standard frequency of 22.625MHz to block others from entering the scene with after market upgrades. It was only a matter of time and cost economics before an after market upgrade became available – cheap frequency compensated oscillators for standard frequencies have been available for some time from China, and if you order in quantity you get the privilege of choosing the frequency. 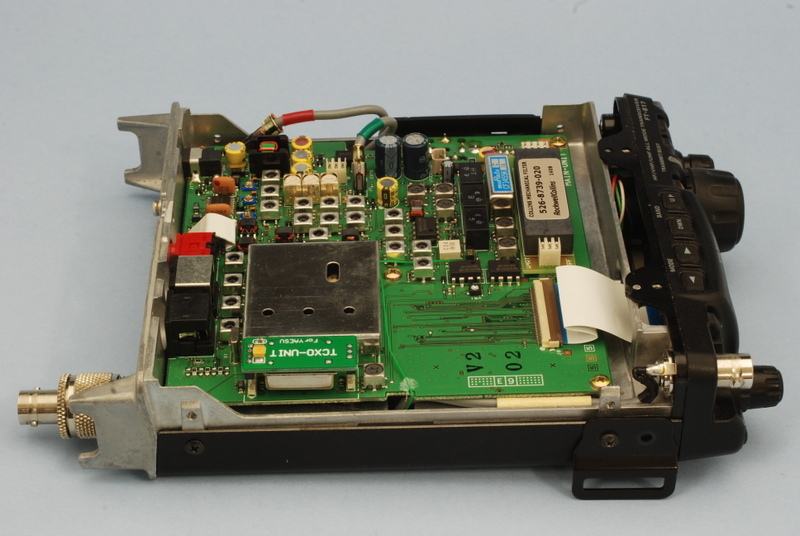 The FT817 and FT897 have been popular rigs, so as the saying goes it was “ripe for picking”. Installation was easy – remove a few screws from the bottom cover, pay attention to the speaker cable and replace the oscillator PCB. Reassemble, find missing screws, Done! 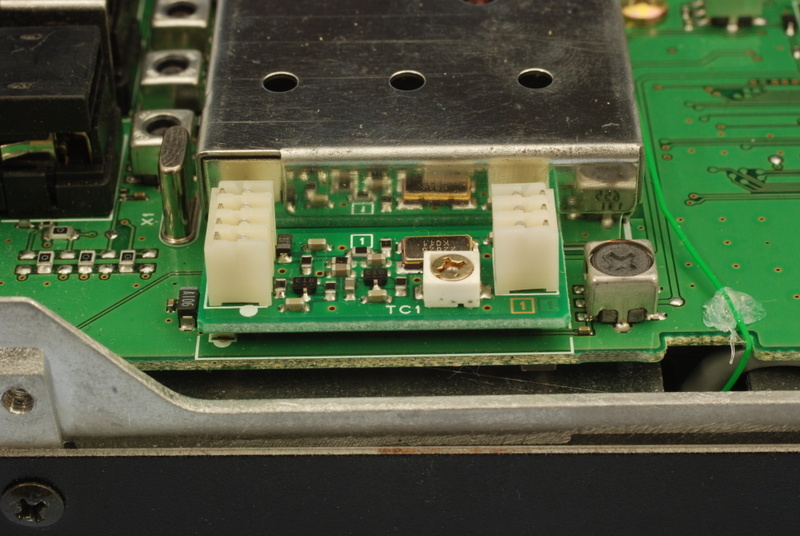 I should note that the original oscillator is easy to adjust (but rather touchy), whereas the TCXO-9 module is mounted upside down with no physical access to adjust the oscillator frequency. Maybe I was lucky as the frequency came up almost spot on (it was 20Hz off on 432MHz… no big deal to me and it turned out to be less than the drift over the temperature range). It has all appearances of being adjusted during final testing. I could have measured the oscillator in ideal laboratory conditions, but that does not match real world conditions. Therefore my test comprised of transmitting on low power [Reason: My FT817 has had the max power reduced to allow me to drive my microwave transverters] for 30 minutes and measuring the frequency drift. Measurement was taken at 432MHz to achieve the highest resolution. The graph has been normalized but it shows the TCXO-9 (green trace) exhibiting a worse case drift of 1.6E-7 which equates to 70Hz at 432MHz or a mere 4.5Hz drift on 28MHz. 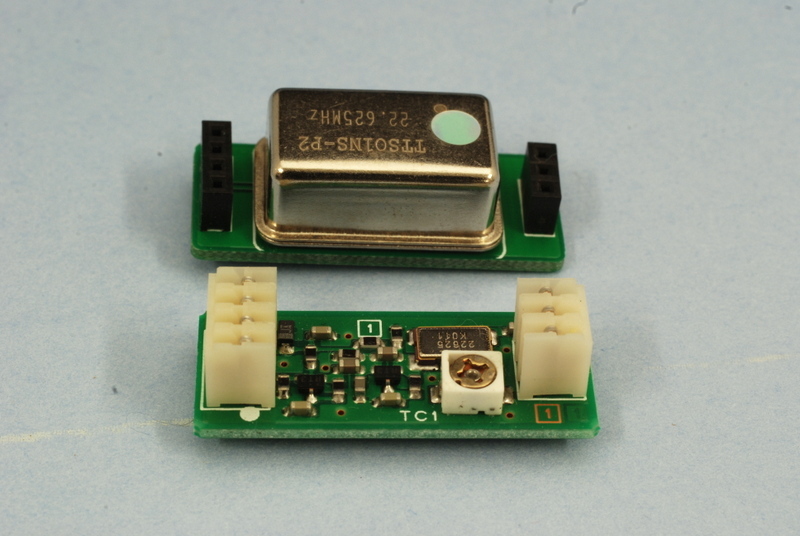 For comparison the factory oscillator drifted 8.0E-7 which equates to 345Hz on 432MHz or 22Hz on 28MHz. In short it is 5 times more stable than the factor oscillator. For WSJT and WSPR operation the medium-term stability of the oscillator is important. The operating period can be between 30 seconds to 2 minutes depending on which mode you choose – during this time you need to ensure you stay on frequency otherwise you have potential to upset the correlation and reduce your receive sensitivity. The following plot shows stability for different time intervals, with the important region between 30 and 120 seconds to match the WSJT and WSPR modes. The purple line is after a 30 minute warmup which is closer to a stabilized temperature – during this period the stability at 432MHz is better than 0.5Hz which is more than adequate for realizing the 4Hz steps for WSPR. Of course this gets orders of magnitude better on the HF bands. There is room for improvement by adding insulation around the oscillator to reduce the effect of the case temperature changing the frequency. For anyone planning to use digital modes on the FT817 or FT897 this upgrade is highly recommended. Having 50Hz accuracy at 432MHz is more than sufficient for the most demanding uses – guaranteed to fall in the receive passband every time. Search eBay for TCXO-9 and they are available from several suppliers.